Jeanine Zeman moved to Colorado after graduating from Western Illinois University. 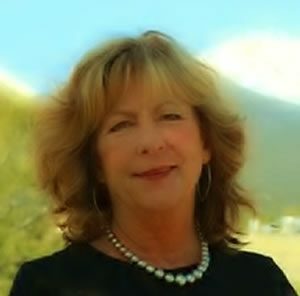 Before moving to the Arkansas River Valley in 2007, Jeanine taught elementary school and then worked for many years in various areas of business education. She booked and managed professional speakers for a large seminar company and planned and organized conferences for national associations. She studied and taught best business practice information and became highly skilled at listening, communicating and negotiating successfully: talents that are invaluable in helping her find just the right property for her clients while keeping them informed and educated as they navigate the real estate process together. In search of a less hectic lifestyle, Jeanine and her husband Tom Zeman relocated from Boulder to Salida in 2007 where she began her newly chosen career as a Realtor. She and Tom, a fine builder with over thirty-five years of experience, have purchased and extensively remodeled homes in the area. They love their lives here. As many have discovered, Salida has a magical blend of qualities that add up to an easy place to thrive. Jeanine deeply appreciates the unparalleled natural beauty; the quick access to outdoor activities; the strong focus on healthy, active living – all in a community of welcoming, friendly, creative folks. She believes strongly in the power of volunteerism and contributes to the valley community in many ways. She was on the Ark-Valley Humane Society board of directors for four years and served as board chair for two years. Her membership in the Upper Arkansas Service Club has given her the chance to chair the community Easter Egg Hunt, and serve as volunteer for many events. Jeanine is an avid gardener and cook, , a person of deep connection to family and friends, including son Tyler and his wife Kris, and a loving “mother” to two cats, Zoe and Zachariah.